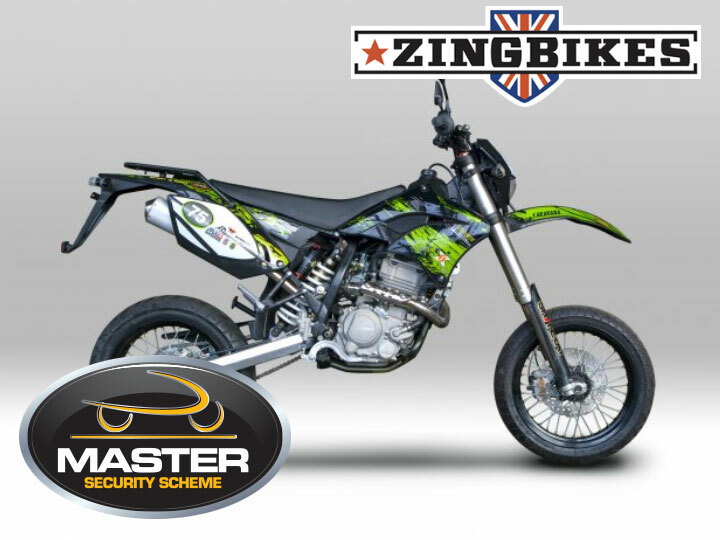 Industry rising stars ZingBikes have taken the step to protect their customers by signing up to fit the MASTER Security Scheme as standard on all of their models. 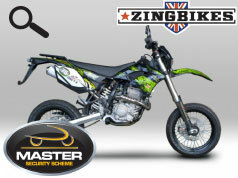 The added security given as a result will bring peace of mind to ZingBikes customers as the MASTER scheme, having been developed in close collaboration with the Police, uses state of the art Datatag marking technology. This helps to prevent criminals breaking bikes down into parts to rebuild and sell on and more than halves the risk of theft. With over 25,000 UK motorcyclists falling victim each year, theft is a major concern for the Motorcycle Industry Association. To counteract this they recently launched MASTER , the first ever official industry wide security marking scheme. Backed by major motorcycle manufacturers, the Police, ACPO and the Home Office, the scheme uses Datatag ID’s proven technology in the fight against criminal gangs and, according to the Metropolitan Police Stolen Vehicle Squad, this will have a dramatic effect on theft of new machines. ZingBikes join a growing number of top brands who are fighting back to beat the thieves and together with the industry are doing something to end its effect on Britain’s bikers for good. Existing owners of any make can also protect themselves by fitting a Datatag motorcycle security kit. With a retail selling price of just £89.99 and available through local motorcycle dealers, Datatag’s new invisible UV marking kit offers protection from theft and peace of mind for owners across the UK.